My name is Alison Peck, and I started Clearly Stated in 2004, with 10 years’ experience in the profession. This is my second career – I qualified as a nurse and practised for a number of years. This background knowledge has been extremely useful for several of our clients. I want to help people get the most out of their investments in technological products and services, so they actually help in their work and personal lives instead of becoming a hurdle to overcome. I want to help those who develop technical products and services to have their achievements recognised. Too often a great product is hidden behind extremely poor – or non-existent – documentation and explanation. I specialise in explaining how software works to people who need to use it to do a job but who do not consider themselves to be ‘technical’. I work primarily in the health care and education sectors, but also have a good knowledge of secure messaging systems and online order systems. I have worked with clients whose businesses are in online retail, advice and identity management. I was an associate lecturer for the Open University on one of their first-level technology courses from 2007 to 2015, and have been teaching business and technical writing skills since 2005. I have an MA in Technical Communication awarded by Sheffield Hallam University in 2005 and an MA in Online and Distance Education awarded by the Open University in 2014. I am a Fellow of the ISTC (Institute of Scientific and Technical Communicators), which is the professional association for technical communicators in the UK. This means my experience has been recognised by my peers. To retain my status as a Fellow, I have to demonstrate my commitment to keep my knowledge and skills current by maintaining a record of my learning (continuous professional development or CPD). 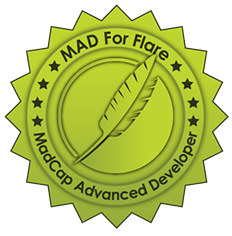 I taught myself to use Madcap Flare and passed their certification program in 2017. I am also a Fellow of ITOL (Institute of Training and Occupational Learning). An outline of my experience is provided in my CV. When appropriate, Clearly Stated works with an associate technical author who works primarily in the defence, scientific or educational fields but who is also generally comfortable with software documentation regardless of sector.